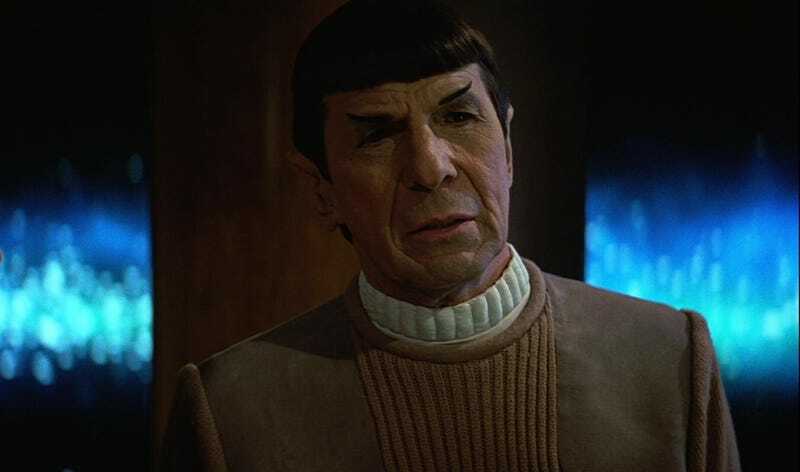 What would Star Trek V have been like if Leonard Nimoy had played both Spock and his misguided brother Sybok? Answer: Probably still pretty terrible, all other things being equal. He did not say one word to me for quite a long time, other than "Hello," because, I found out later, he had really, really pushed hard to have this be a double role, a dual role for him. I don't know if this is absolutely true. That was the scuttlebutt and I got that from very high up in the food chain of information, that Leonard wanted to play Sybok and play Spock. That would have been a tremendous thing, to do that, but since they weren't twins, they cast me. I think that Bill wanted a separate actor, and he was right. We were very different people. The best compliment I got was, in the last scenes, 20 or 25 weeks later, Leonard looked at me and said, "You know, you're terrific in this." I thought that was a great send-off.